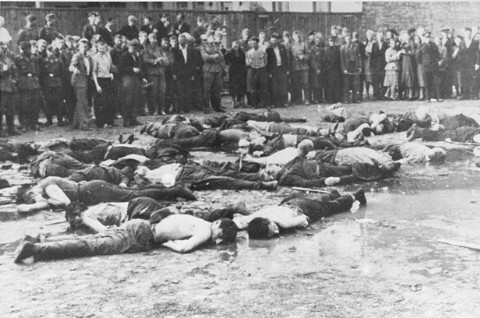 Crowd views the aftermath of a massacre at Lietukis Garage, where pro-German Lithuanian nationalists killed more than 50 Jewish men. 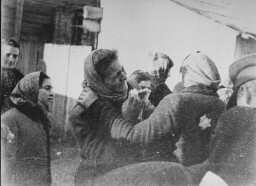 The victims were beaten, hosed, and then murdered with iron bars. Kovno, Lithuania, June 27, 1941.